Contains nuts. May contain traces of milk proteins and wheat. Healthy enjoyment! 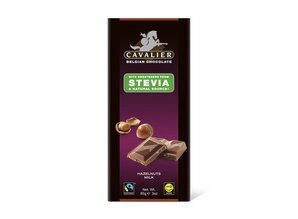 No worries indulging a delicious milk chocolate tablet with Stevia extract produced by Cavalier. 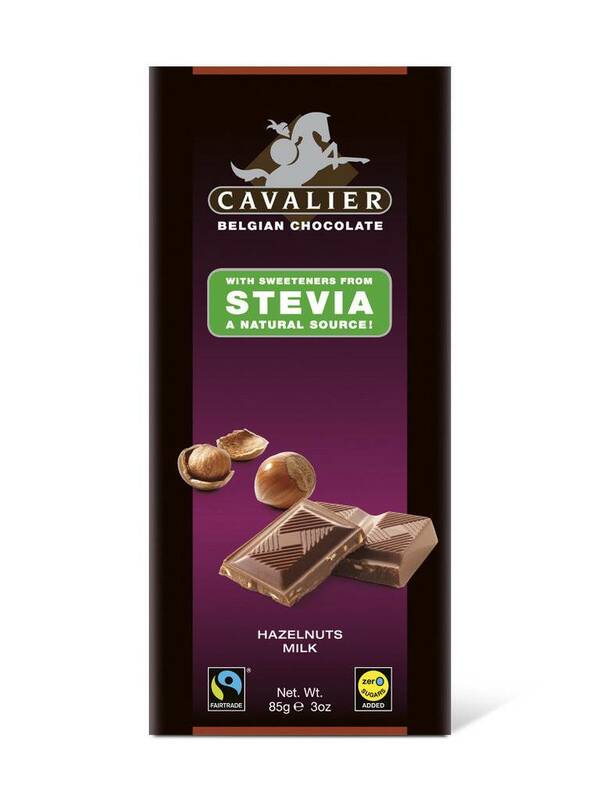 A Belgian chocolate maker specialized in no-sugar-added chocolate products.